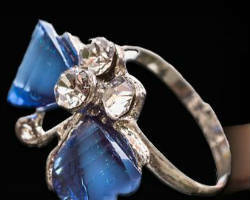 Dianne’s Estate Jewelry is a shop that specializes in antique jewelry of the highest quality. They hand select each piece that enters the store so you know you are only seeing the jewels previously chosen by the specialists themselves. 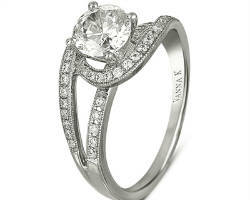 This store is truly the premier destination for all wedding jewelry. The reputation of the store is only preceded by the reputation of their collection. 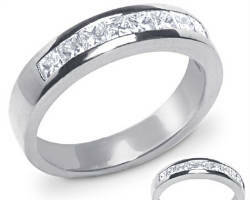 They have rings from the last one hundred years and beyond in varying sizes and styles. The store is also known for it’s honest and competitive prices. 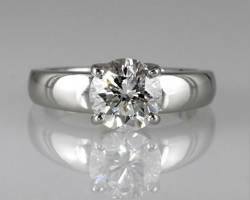 San Francisco Jewelry Center serves the area as the wholesale market and trade center that can meet any buyers’ needs. 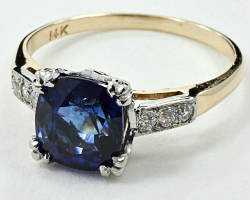 This center offers the largest number of showrooms of any jewelry seller in California. 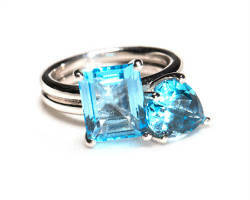 Every category of ring and precious jewelry is covered here meaning you can find exactly what you’ve always wanted. The center also offers restaurants, workshops, and free parking so you will be fully taken care of in your search for the diamond that will represent your love forever. Many jewelers offer a large selection of diamonds and rings to choose from as well as minimum in-store adjustments, but Simanyof Diamond Cutters and Jewelers offers so much more. These professionals not only design their rings but also completely build them from scratch, from cutting the flawless stones to creating beautiful settings. 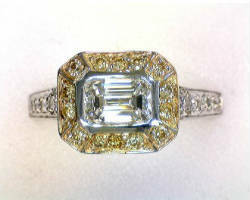 This is one of the most experienced jewelers to buy engagement rings from in San Francisco, CA. They have pre-designed modern and classic style rings as well as options to speak with the experts and have a ring customized. 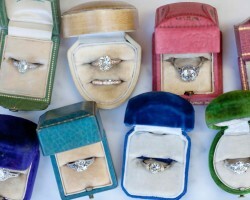 The Jewelry Exchange Co has been making wedding rings in San Francisco for over 35 years. Along with their experience, this store offers unmatched customer service and customization. The store specializes in custom rings and works closely with each client to ensure their vision comes to life in the final product. They strive to make jewelry that will last and be passed down from generation to generation. The high-quality craftsmanship and more affordable prices make this a local favorite that keeps customers coming back for more. The Gallery of Jewels is not just a jewelry store, but rather a community of artists who have come together to create some of the most unique jewelry in the area. After beginning as a small store with a collection of artists collaborating, this store has grown to be a well-known stop for those looking to add some one-of-a-kind sparkle. The selection of rings they offer is unlike any other. The handcrafted rings have a contemporary style with a touch of natural elements. Importing diamonds and selling them to the designers and dealers is just the start of the process that goes into providing beautiful and affordable rings to customers. SF Diamonds is a diamond importer and wholesaler that serves the state and the entire country. This company has loose diamonds of every shape, size, and clarity you could imagine as well as a huge assortment of diamond rings. Whether you are looking to buy a ring or just buy the diamond to customize your own ring, this retailer truly does have it all. Union Street Goldsmith has a selection of impeccable rings to choose from for any occasion, but their specialty is custom designs. They have 6 certified gemologists who can help you pick a stone, setting, and cut to build the ring that will represent the life you will build with your partner. The store has a huge selection of loose diamonds to choose from, and thus has adopted a strict conflict-free policy. Why look all over San Francisco for engagement rings when you can design your own. Designers that understand how important it is to represent your lasting love are hard to find in such a luxurious and money-driven industry. Eric Trabert Goldsmiths doesn’t push clients into buying a ring that isn’t perfect for them, but rather works with them to search through their collections or create a custom ring that will stand the test of time. There are rings and options to customize for men and for women so you can make sure you have complimenting styles.